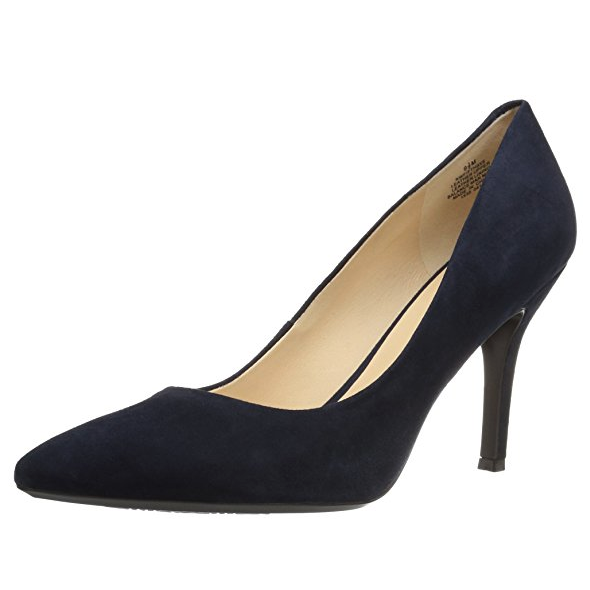 The 'Malory' model is a signature pump of the Rupert Sanderson collection, and the style comes in a range of colours and fabrics. 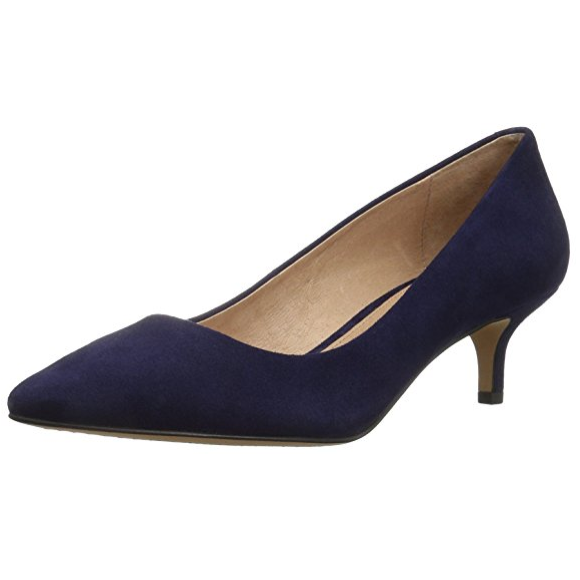 It features a 100mm heel height and classic pointed toe. 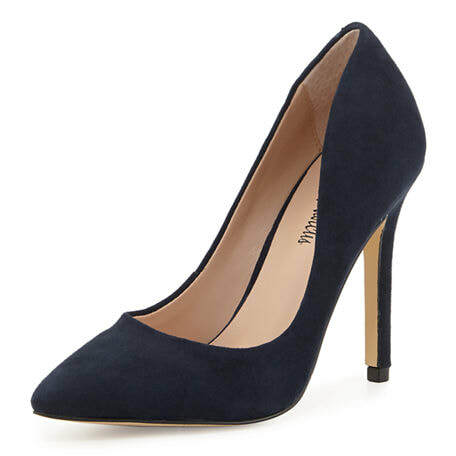 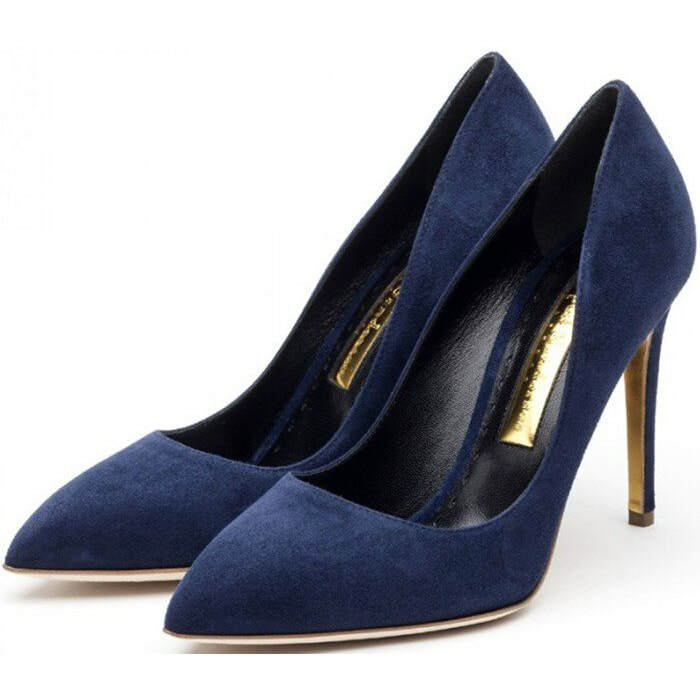 STYLE FILE: Rupert Sanderson Malory Navy Suede Pumps as seen on Kate Middleton, The Duchess of Cambridge.